It is the second day of the first match day, and several teams have already played their games, Barcelona played against Real Betis and won by 6-2. Real Madrid had already kicked off their new season with a trophy as they won the UEFA Super Cup against Sevilla. Both teams have played several friendlies before the start of the league so as to get ready for the season. 21st August 2016 at 23:45 (IST). 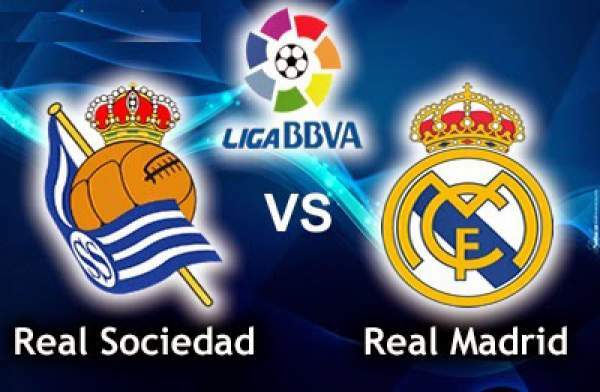 Real Sociedad finished ninth on the table last season with 48 points from 38 matches. They won 13 games, drew nine and lost sixteen, scoring 45 and conceding 48 goals in total. They did not have the best of seasons last time around, and their top scorer in the league was Agirretxe with 13 goals to his name. Ruben Pardo was the top assister for them with seven assists to his name. They have bought Geronimo Rulli from Manchester City for a contract until 2022 and Juan Miguel Lopez from Southampton until 2021. They have sold Alberto De La Bella to Olympiakos and have extended contracts of several players as well like Agirretxe, their top scorer last season, until 2020 and Berridi until 2021. In their last five games that they started at home in the league, they have won three and drew one and lost one in that. They have beaten Real Madrid just one time out of the last 10 games, beating them by 4-2 in the 2014/15. RMA had a great season both in the league and Champions League in 2015/16. They won their 11th Champions League title last season beating Atletico Madrid in the final. They finished second in the league with 90 points from the 38 games they played. They won 28 games, drew six and lost four in total, scoring 110 goals and conceding 34 in total. They finished just one point below Barcelona and lost the league to their great rivals. Ronaldo scored 35 goals; Benzema scored 24 goals and Gareth Bale had 19 goals to his name. Ronaldo also had 11 assists, and Bale had 10 assists.